The MRC MKII is a highly accurate, solid state microprocessor-driven portable monitor designed to ensure constant chamber atmosphere. 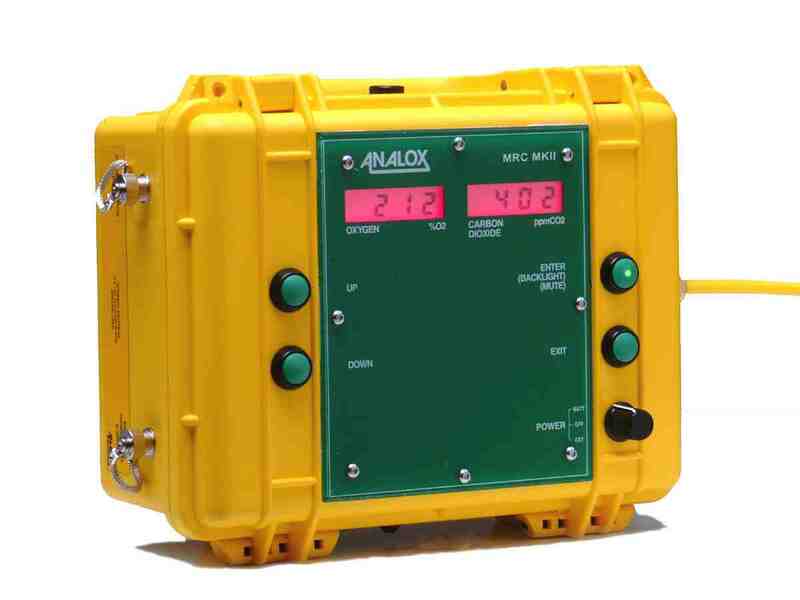 A battery powered monitor, the MRC MKII is designed to monitor carbon dioxide and oxygen concentrations from manned 1 and 2 man recompression chambers, where calculating ventilation rates can be problematic. The MRC MKII is connected by a sample line from the chamber exhaust and will continuously monitor the chamber atmosphere to ensure it meets the required standards. Fitted with an internal pressure reducer, the monitor is able to take samples at pressures up to 8 Bar G.